We've added economic USPS First Class International Mail service option for many countries. Option will show during check out. 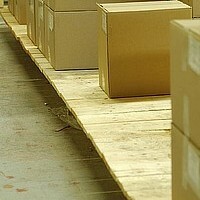 Virtually all orders are shipped from our facility within 1 - 5 business days after we receive your payment. We make every attempt to have all items in stock at all times, but because we do sell in other venues there is always the possiblity of an item being out of stock. We recently obtained inventory control software and will be updating all items with this feature. If you do order an item that happens to be temporarily out of stock, we will notifiy you of the back order status and you will have the option of either canceling the item or waiting for it to come back in stock. If you choose to cancel the item and you have already paid, that portion of your money will be refunded to you. However, if you choose to wait for the back order, your item will be shipped to you when available at no additional shipping cost to you. On the day your order is shipped, we will email you a notice informing you that your item is on its way and include a tracking number. After your order leaves our facility, standard USPS shipping times will apply, depending on the shipping method used, your location and the volume being handled by the USPS at that time. Shipping during the holiday seasons may take considerably longer than 10 business days, so please plan your purchases accordingly. Priority and Express Mail orders, both domestic and international, are given special handling and will in most cases arrive much faster. Below is our shipping charge chart, if you don't see your location, please let us know and we will add it. You will be given shipping options during the checkout process. Priority Mail International rates are for orders that will fit into PMI Flat Rate Envelopes or small Flat Rate Boxes, larger orders will be shipped in PMI Flat Boxes. Our RUSH ORDER Shipping Services has been discountinued. Simply put...there are children involved. Thank you for your understanding.